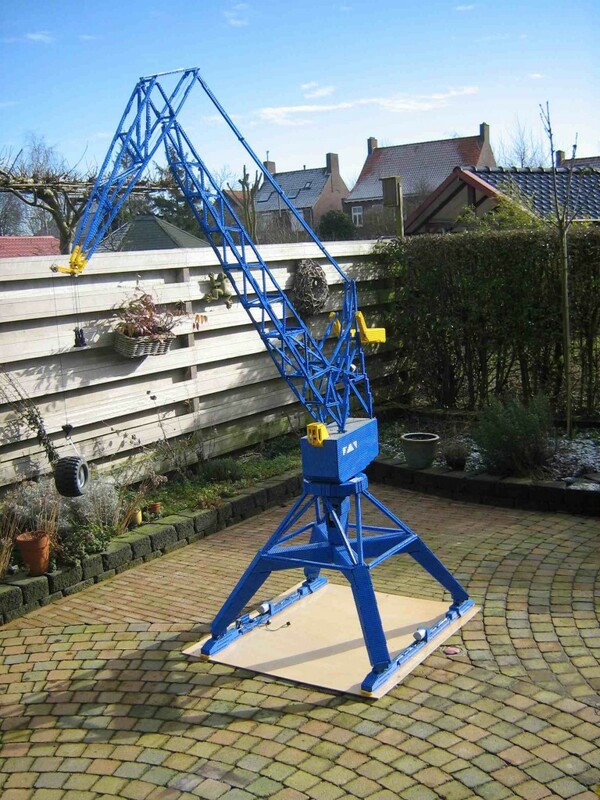 This is the model of a 40 tons Figee level luffing shipyard crane, built during 2012 and 2013. 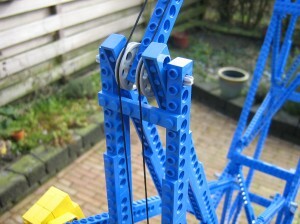 The model is 2,7 m high, and weighs about 13 kg, excluding the counterweight. 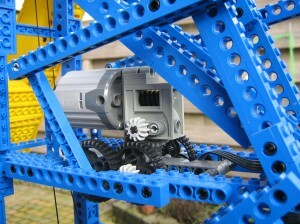 The crane is driven by two XL PF motors through big gear reductions. 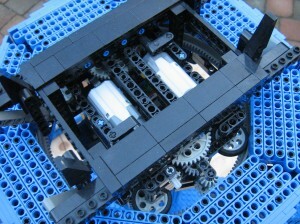 This made it very slow and still the motors were tripping after some time. 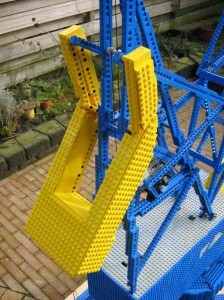 I could only test this when the crane was fully assembled in my garden (it did not fit anywhere in the house), but then it was too late to make improvements. 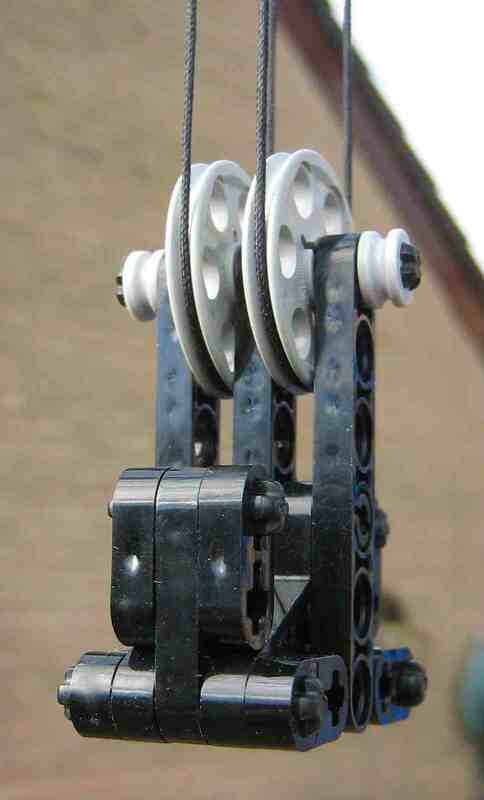 For the slewing I used a droid gear wheel, driven by two medium PF motors. 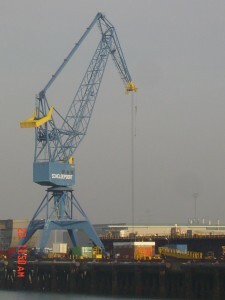 In this photo the top of the crane is removed. 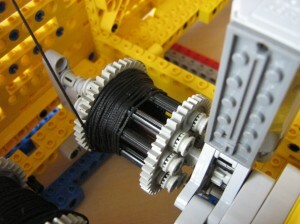 The motors are visible and so is the gearing. 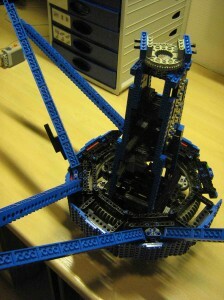 The tipping moment is transmitted by pulley wheels (with tyres on) to the inner rim of the droid gear wheel. 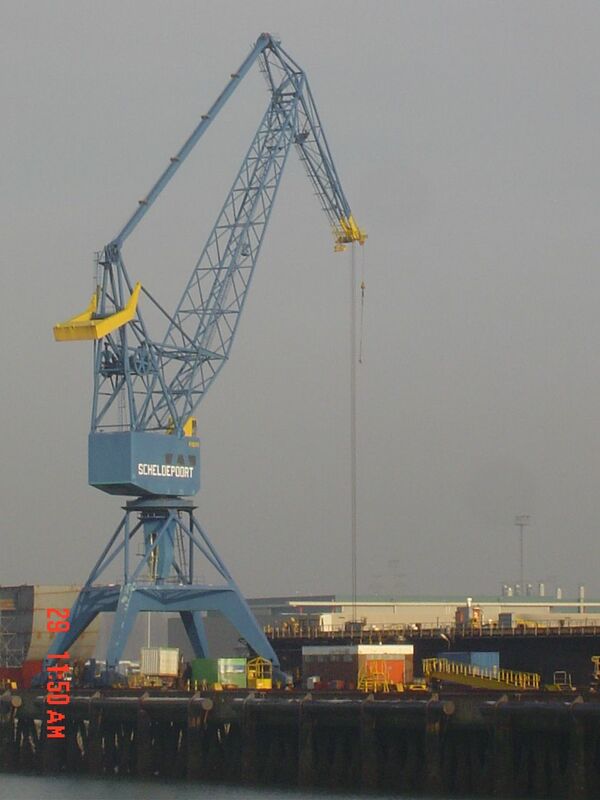 The weight of the upper part is carrried by a turntable, which act as a thrust bearing on top of the portal of the crane, just as in reality. The turntable is seen on top, the slewing assembly is topside down on the table. 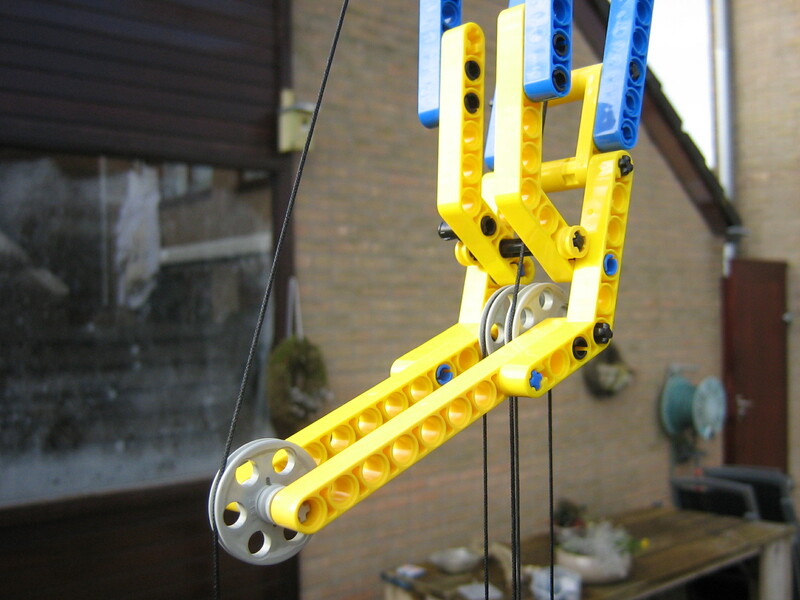 The ropes are silk kite wire and run over pulleys which are drilled out to make them revolve independently over the same axis. The luffing motion is very smooth, being well balanced by the counterweight. 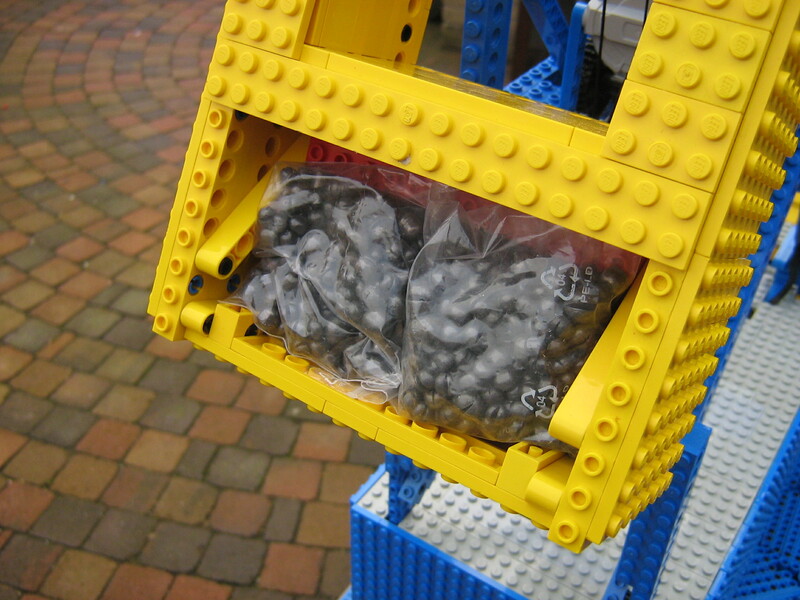 The counterweight consists of boat weights and lead pellets. Hij is groooot, hebben de buren nog niet geklaagd. Al die schaduw in de tuin, hahaha. 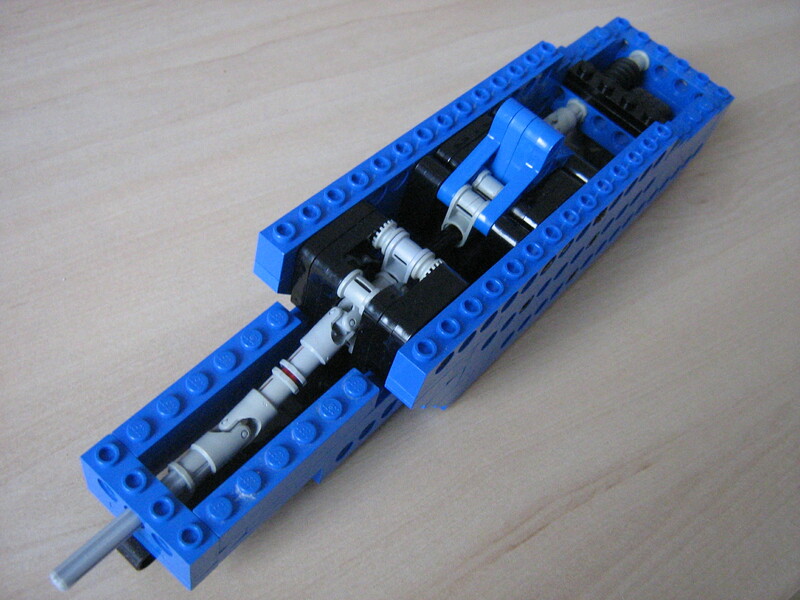 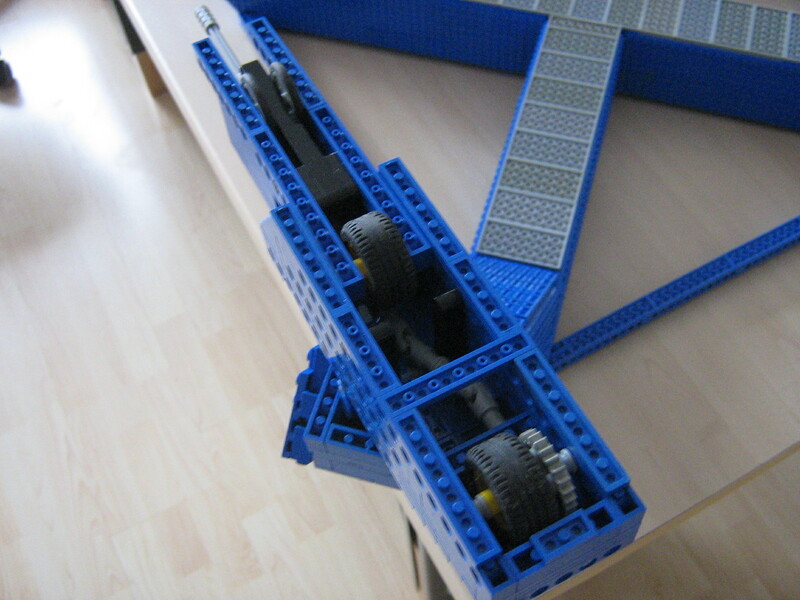 Op Figeeforum is er npog een lego freak bijgekomen, Muddy. 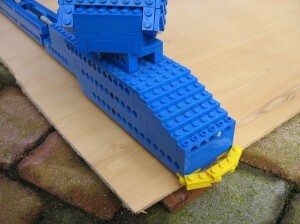 En uuh, Ron H wil graag een foto van de Nelcon ( Schelde werf )en Capaciteit plaat.